The Mate 9 is one of the latest and trendy Flagship from Huawei. This smartphone comes with elegant design, high performing processor, good camera and huge internal storage capacity. The 4GB RAM is also good enough to run the smartphone smoothly. So if you love to use a trendy flagship with high performance and attractive design, then the Huawei Mate 9 is the ideal one. And you also need to get some accessories to keep your Mate 9 safe as well as make it functional. So in this post, I’m going to share some essential Huawei Mate 9 Accessories. All of these Mate 9 accessories currently available in the market and you can save time as well as money. The TopAce Super Frosted Shield Shell Cover Case is a lightweight and ultra-thin case for Mate 9. This case cover specially designed and made for Huawei Mate 9. High-quality TPU materials used in this case to protect your expensive Mate 9 from any kind accidental damage. As the case available in the four different colors, so you can get this with your favorite color. The Spigen Rugged Armor Huawei Mate 9 Case is a premium quality case that is also specially designed for the Mate 9. This elegantly designed case comes with attractive outlook and texture. You will feel comfortable to operate your device in one hand. The precious cut outs ensure easy access to all buttons, headphone jack, mic, camera, sensor, etc. The advanced air cushion technology used in this Spigen Mate 9 case to protect your device against drop damage. Using a stylish full metal body case cover is also a good idea to keep your device safe from heavy damage. The Huawei Mate 9 Case from Perstar made of high-quality metal and perfectly fits the Mate 9 2016 edition. The case comes with dust-proof, water-resistance, sand-proof and scratch proof feature, so your device will remain safe from any kind physical damage. There is also a tempered glass available in this case to keep your device screen safe. You can use a transparent case cover to protect your Mate 9 if you don’t like to hide its original outlook. 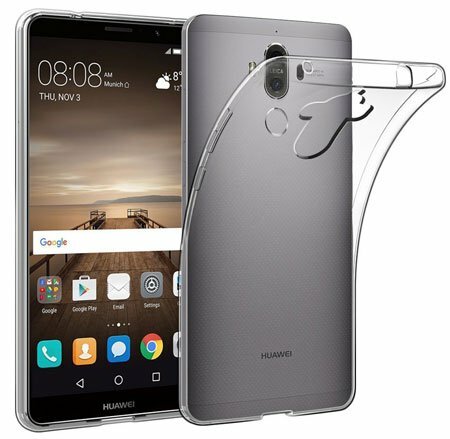 And the EasyAcc Huawei Mate 9 Transparent Slim Anti Slip Case is a premium quality crystal clear transparent case that is currently available on the market. 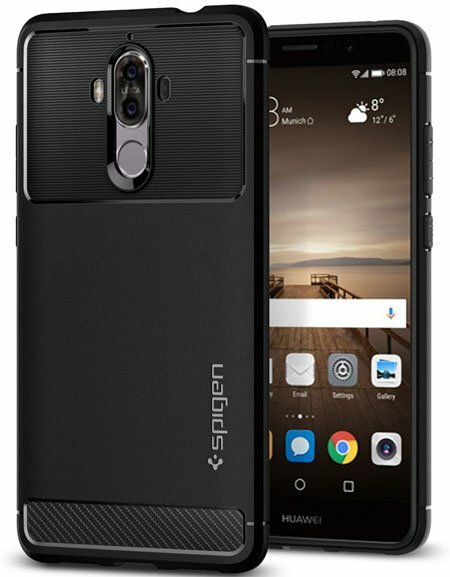 This ultra-thin bumper case made of soft TPU and Silicon materials that ensure maximum protection against any kind damage. If you love to use a leather flip cover case, then this is the ideal one for you. The Ultra-Thin Flip Cover Case for Mate 9 from Make Mate made of premium quality PU leather materials. 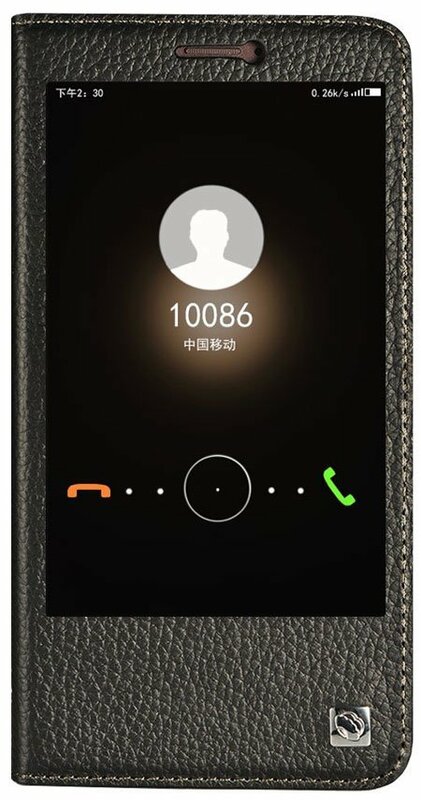 The transparent front part is ideal to access instant notification, caller information, clock, etc. 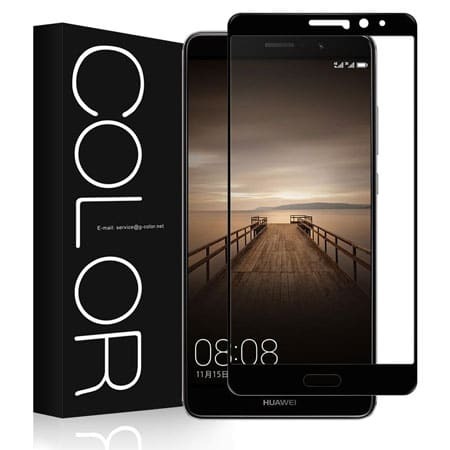 This Huawei Mate 9 Cover is available in 3 different colors. We know that, the Mate 9 screen comes with advance gorilla glass protection, but using an external screen protector is still a good idea. 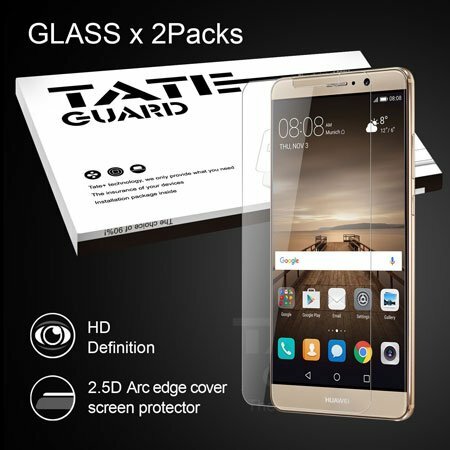 The [2XPACK] HUAWEI MATE 9 screen protector by Tateguard is a premium quality .33mm tempered glass screen protector. Using this screen protector, you can keep your device screen safe from scratch, dirt, dust, and fingerprint. 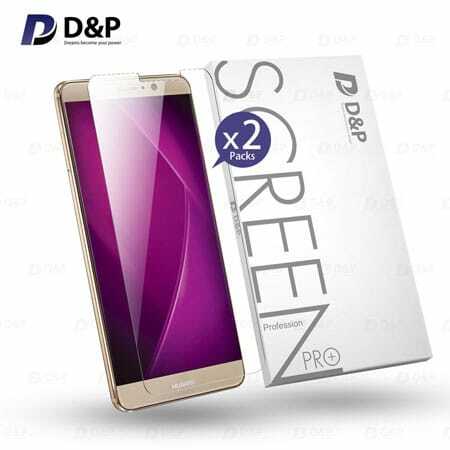 D&P is one of the well-known and most popular smartphone accessories manufacturers company. They come with a premium quality Tempered Glass screen protector for the Huawei Mate 9. The 9H hardness glass will protect your device screen from accidental damage. This shatterproof and highly responsive to touch screen protector won’t affect the device touch performance. This is the latest development of tempered glass with carbon fiber to ensure maximum screen protection against any kind damage. This G-Color Carbon Fiber Tempered Glass specially designed for the Mate 9. So it will perfectly cover your whole device screen. Using an official charger is a good idea to recharge your device. The Huawei Mate 9 Fast Charge USB Type-C Kit is an official charge to recharge your Mate 9 at home or office. The lightweight and compact design also make this charger ideal to carry while traveling. As the charger comes with fast charging technology, so you can recharge your Mate 9 0 to 50% within 30 minutes. Another official Huawei Mate 9 Charger from Huawei. This is an ideal travel charger to recharge your Mate 9 while traveling around the world. 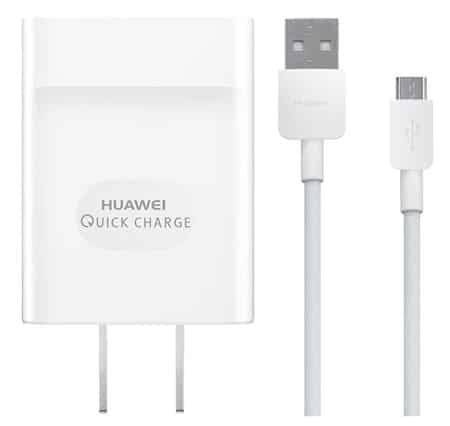 This charger comes with Quick charge 2 technology to recharge your device faster than the traditional travel chargers. 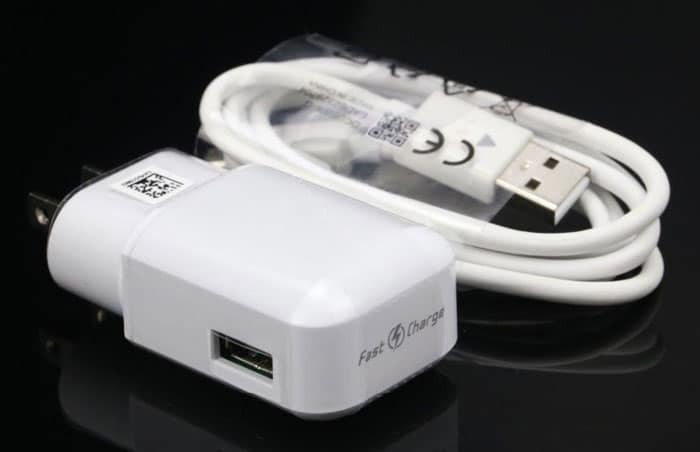 There is also a Micro USB cable available with this charger that you can use to transfer data or recharge your device from any USB power source. Most of the people need to recharge their device while driving. So a car charger is an essential accessory for them. 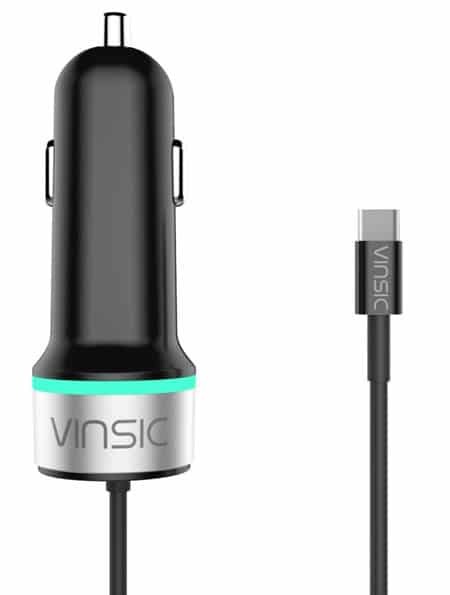 If you are also one of them, then the Vinsic USB Type C Car Charger is for you. This Type C car charger comes with Dual USB port and a standard Type C USB Cable. The built-in smart identification chip automatically delivers required power, according to device requirement. There is also built-in safeguard protection available to protect your expensive device from overheat, overcurrent, overcharging or short-circuit. A car mount holder is also an essential accessory for those Mate 9 users who need to access their device while driving. 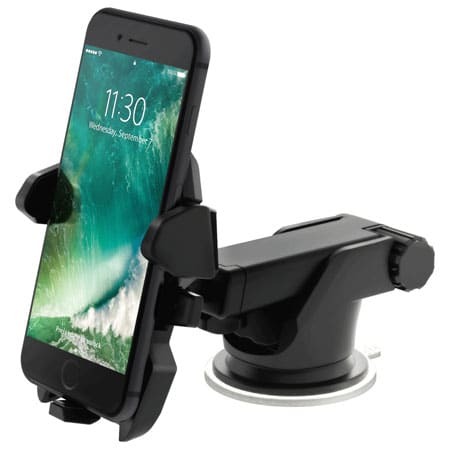 The iOttie Easy One Touch 2 Car Mount Holder is a universal car mount holder that comes with one touch monitoring system. You can easily lock or release the device with just the push of a finger. The 2-inch telescopic arm makes this mount holder ideal for close viewing. 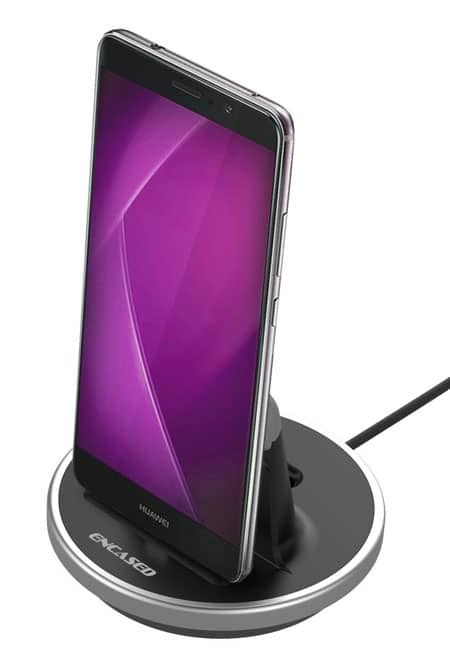 The Huawei Mate 9 Desktop Charging Dock by Encased is the ideal solution to recharge your Mate 9 at office desk or night while sleeping. This desktop charging docks specially designed for the Mate 9 and comes with a Type C charging port. The built-in cable is also perfect to transfer data or sync data. 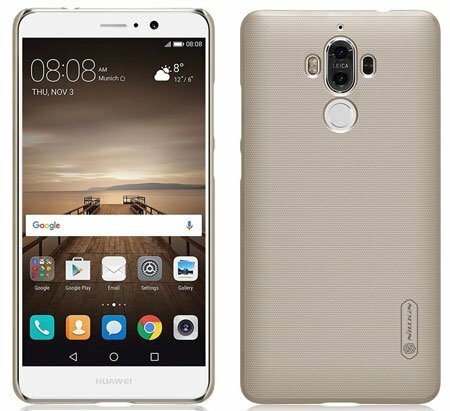 The Huawei Mate 9 comes with 64GB internal storage memory. 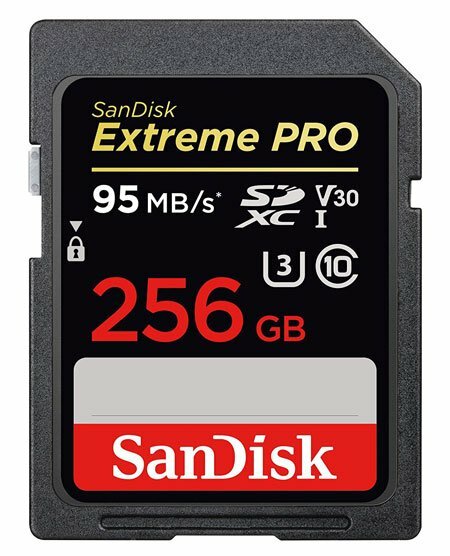 If this memory is not enough, then you can get the SanDisk Extreme Pro 256GB SDHC UHS-I Card to increase your device memory 256GB. This storage is good enough to save your essential images, videos or documents. This memory card can transfer data up to 90MB/S. 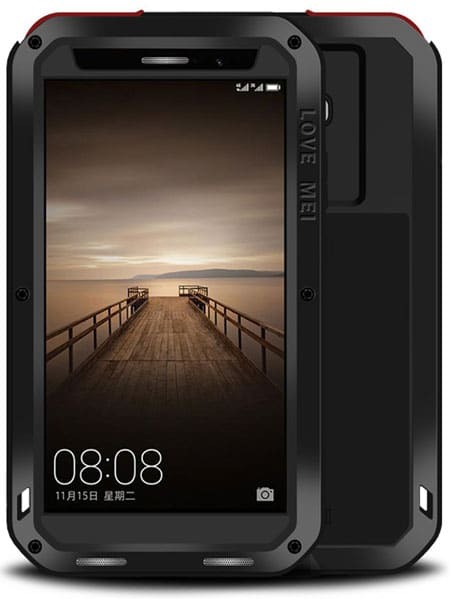 This is also a shockproof, temperature-proof, X-Ray proof and waterproof memory card. So you don’t need to worry about your data. If you love to listen music loudly, then the Cube Stereo Bluetooth Mini Speaker is the must-have accessory for you. This mini portable speaker comes with high quality and crystal clear sound. The battery life is also good enough to listen music 6-8 hours. The Cube speaker is available in 4 different colors. That’s all about best and essential Huawei Mate 9 Accessories. Hope this list helped you to get some essential accessories for your Mate 9. If I missed to include any important Huawei Mate 9 Accessories in this list, then please let me know by commenting below. And also let us know about your favorite Mate 9 Accessories.